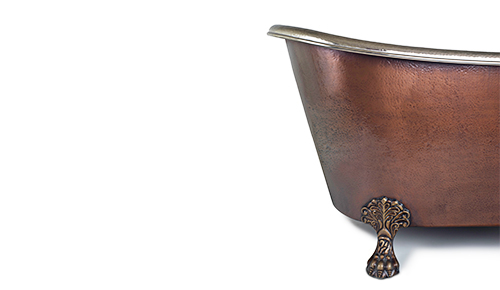 Viktoria is a captivating copper bath. 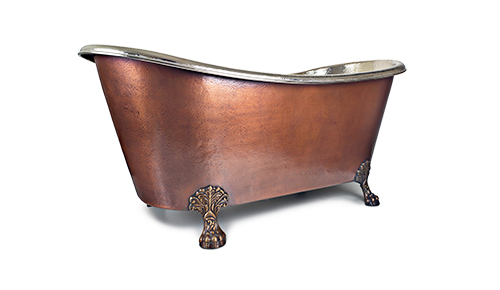 It is a full hand hammered copper bath that has been given a nickel inserted plate. This beautiful two tone bath with distinctive texture is then complemented with brass clawed feet, allowing it to rise above the floor with elegance and strength. Note: each copper bath is handmade so specifications are approximate.